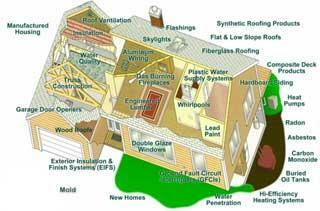 Wind Mitigation Inspection In Atlantic Beach Florida | All Pro Home Inspectors Inc.
All Pro Home Inspectors Inc. offers a variety of inspection services, including home, mold, hurricane, termite and wind mitigation inspections. We service homes and businesses throughout Duval County, including homes in greater Jacksonville area and beaches. In regards to our wind mitigation inspections, we ascertain how the structure of a home or building will hold up during a hurricane. Essentially, the inspection is designed to provide current and prospective homeowners with an accurate update of how well they would be protected indoors in the event of strong winds or a hurricane. Even if you are not selling or in the market for a home, it could be a prudent course of action to have a wind mitigation inspection. It could provide you with the answers you need on how to best safeguard your family and your possessions, if you are unfortunately struck by a hurricane. For example, the information from our report could let you know what type of project you could do to strengthen the structure of your home against ferocious winds. Alternatively, the inspection could be a major relief, and provide you with a peace of mind knowing your home is built to protect you from hurricane damage. In fact, a wind mitigation inspection could help you save money on your homeowners insurance, making it even more worth your while. To learn more about what the inspection encompasses, or to schedule an appointment, please contact us today.